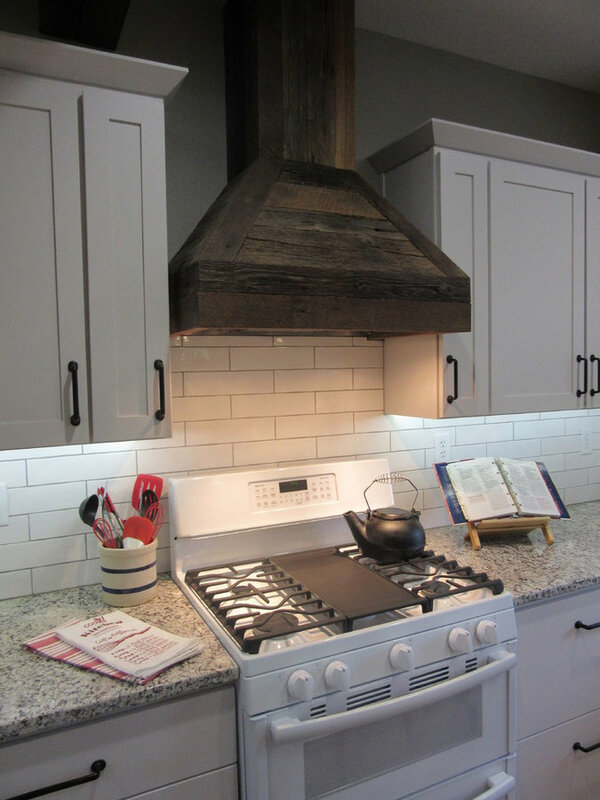 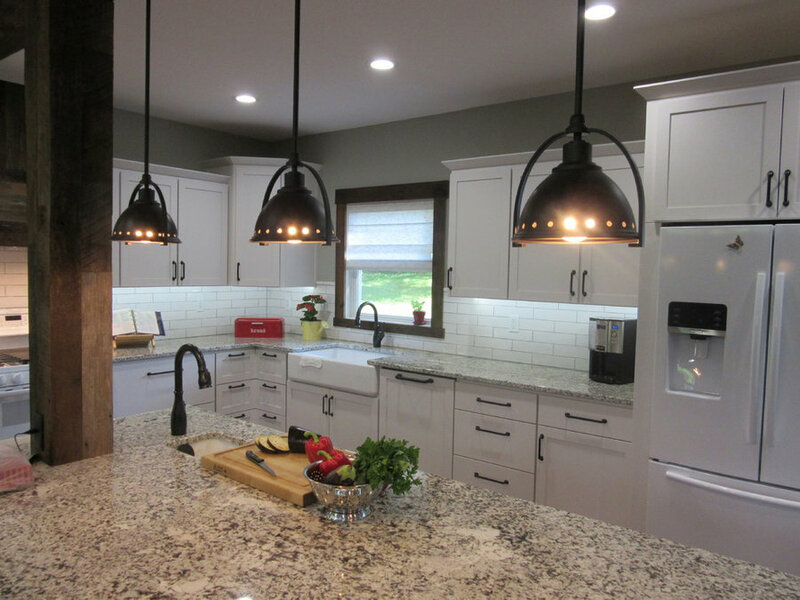 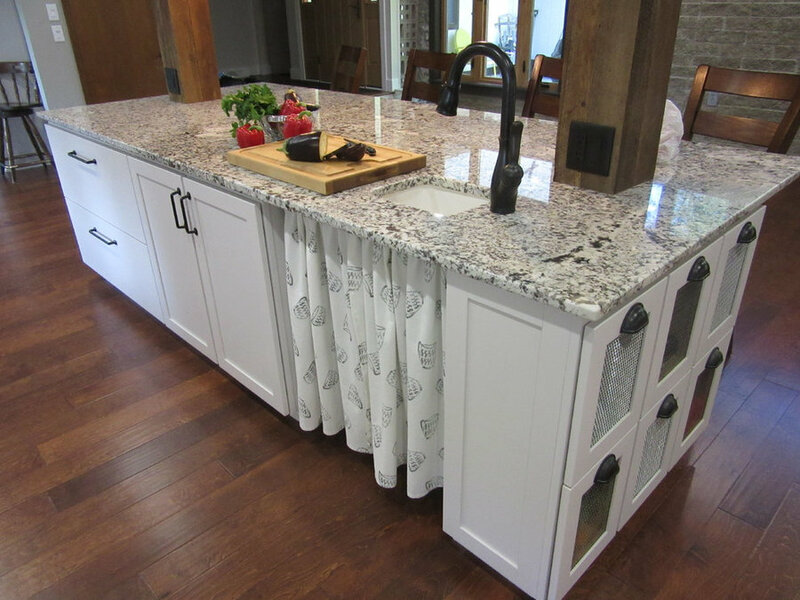 This farmhouse kitchen came together beautifully with the simple shaker white cabinets, hand crafted subway tile, reclaimed wood and bronze accents. 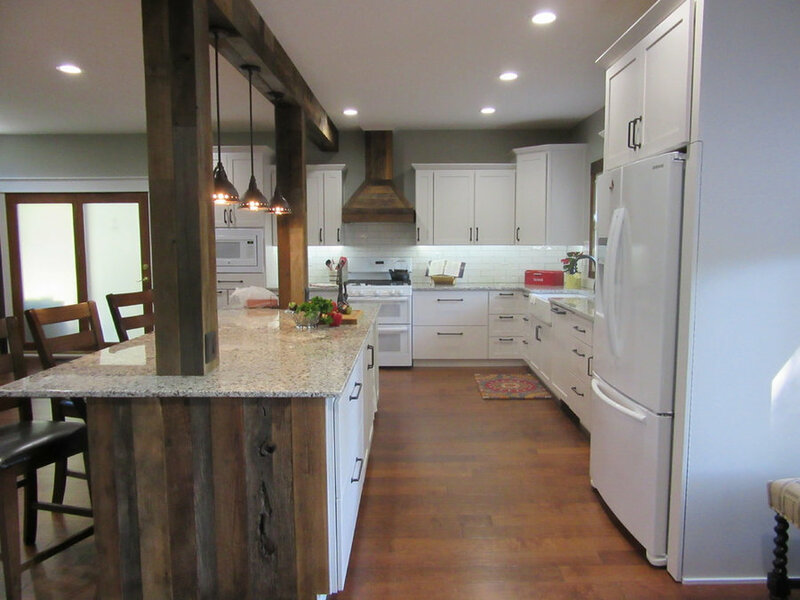 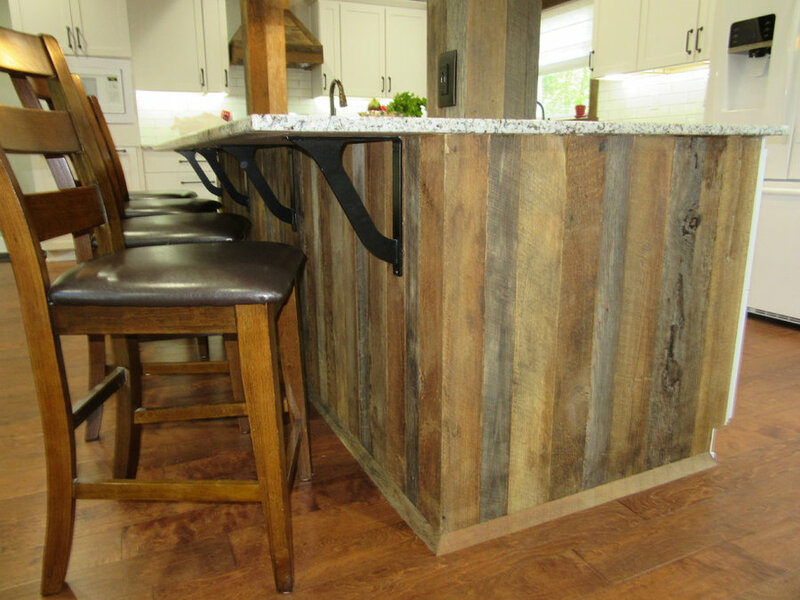 This layout gives the homeowner an area to sit while preparing a meal. 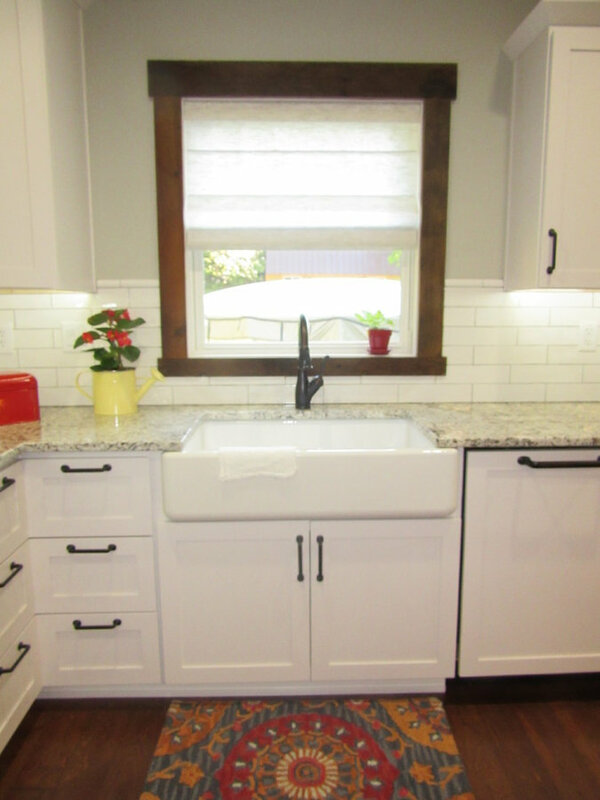 Small prep sink is convenient and gives more counter top space. 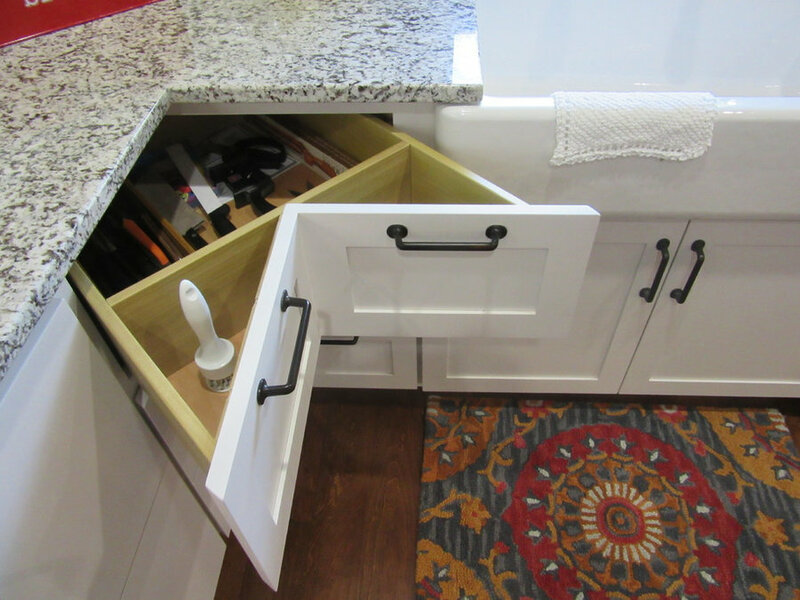 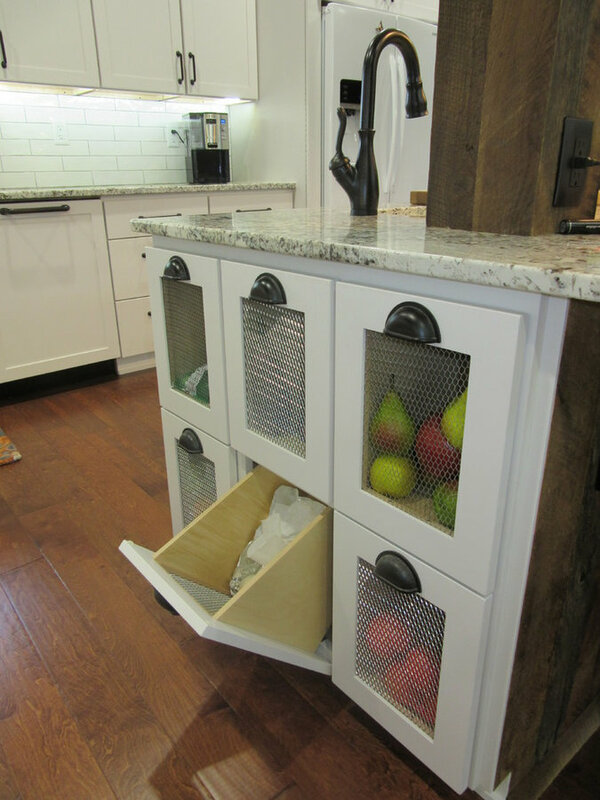 This is a detail of a great way to handle corner cabinets. 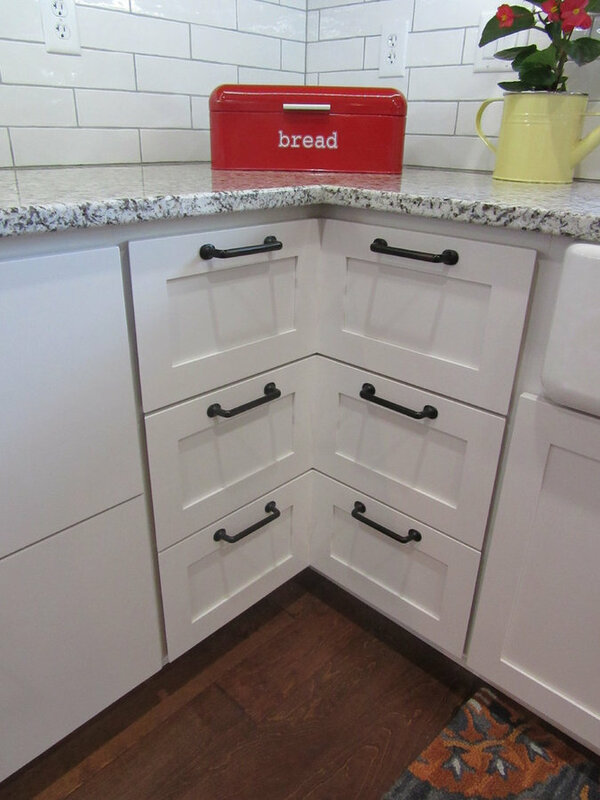 Stacked drawers.